In this highly competitive and dynamic corporate world, it is challenging even for experienced professionals to stand out from others. So one should have to give best shot to improve personal profile and interpersonal skills. Scope of PMP Certification in Pakistan is increasing with a very fast pace. Multinational organizations are rigorously looking for individuals with international certification such as PMP, CSCP, Six sigma. USA, Middle East, Europe, Singapore and even in Pakistan, the requirement for PMP is becoming a must for mid-level and senior level jobs. The trend of recruiting certified PMPs by Pakistani and multinational organizations is increasing rapidly. 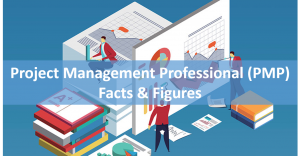 Before discussing scope of PMP Certification in Pakistan – Latest Facts & Figures, lets take a brief look on PMP certification. PMP (Project Management Professional) is one of the prestigious international certification around the world administered by PMI (Project Management Institute), USA. This is no ordinary local certification. This is recognized globally. PMP certification makes you expert in managing projects effectively and efficiently in a range of project oriented sectors including manufacturing, construction, government sector, oil and gas, aerospace, management, information technology, utilities, banking, finance, defense and business services. Training of PMP certification will allow you to learn basic to advance management principles, tools and techniques to complete projects with in the limitation of time, quality, cost, scope and risks. Just search the Internet about PMP and see its popularity and demand. PMP Certification will not only add value to the credentials in Pakistan and abroad but also improves one’s interpersonal skills, management skills, open better job opportunities, improve the chance of promotion, increase earning potential and provide job security even during economic shut down. PMP holders easily get better salaries (20% increase) than their non PMP contemporaries. You will get technical as well as finance edge over others. Here are few latest facts and figures related PMP Certification.